Race Review: The Performance Series – Race 2, Jurong Lake [10KM] (by Rebekah Ong) | JustRunLah! 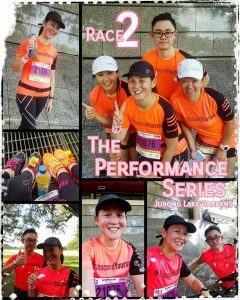 Today was The Performance Series: Race 2 at Jurong Lake Gardens! Fantastic effort to all the participants who took part. This is the 2nd out of 5 events. 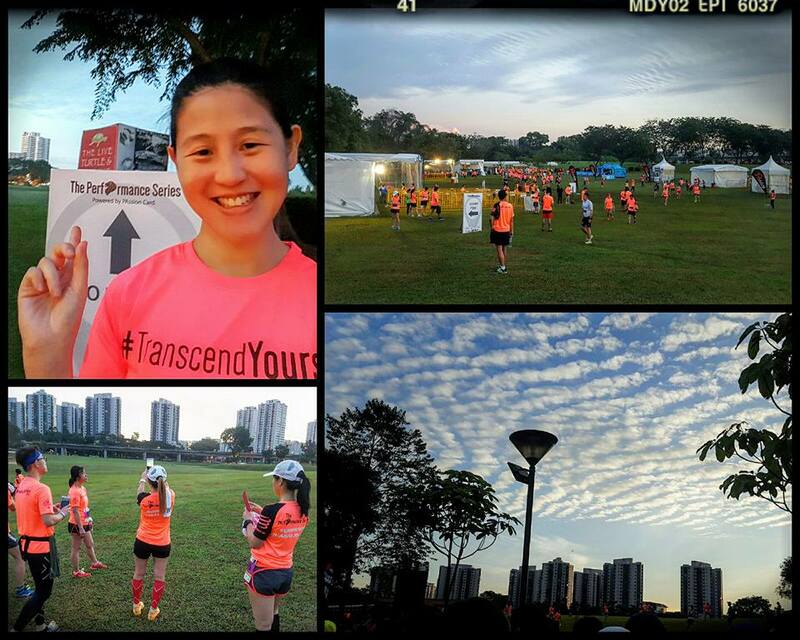 I signed up for the 10km category and opted to start in Wave 2. 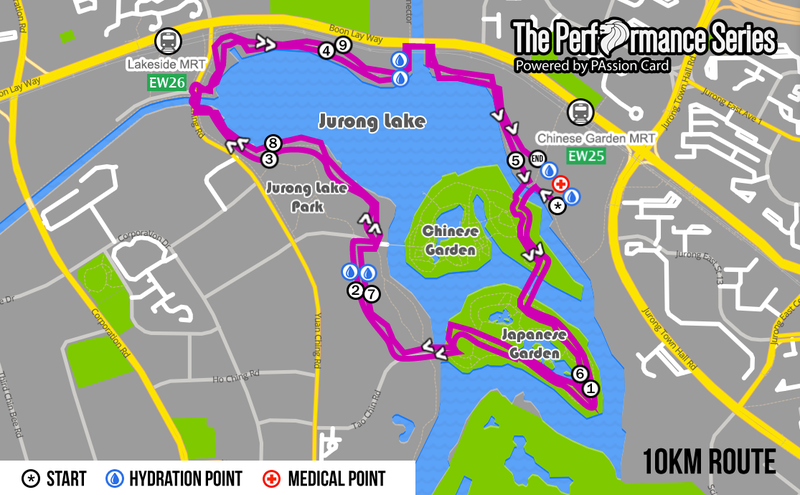 The organisers had split the 10km categories into 3 different waves which were to be flagged off about an hour apart in order to prevent congestion along the route. 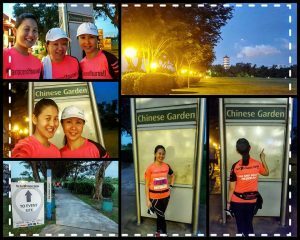 I was super excited but at the same time worried about the race today as this was my first time working out at the Jurong Lake Gardens. 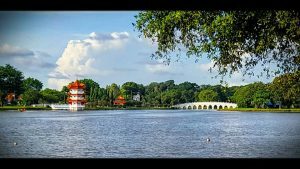 I was worried because I was afraid that I would have difficulty in getting to the race site. 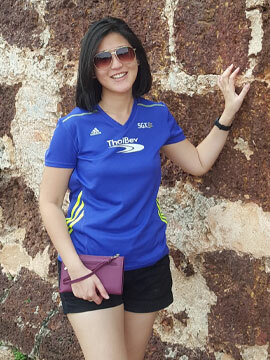 The organisers had published a post on their FB page before the race pack collection date informing participants that the train services at 13 North-South East-West Line (NSEWL) stations to start an hour later on Sundays from June to December 2016. It didn’t dawn on me till I went to read up more on it. I immediately panicked because I didn’t buy the shuttle bus tickets at the REPC and I was afraid that I would be late and miss the flag-off. I quickly emailed the organisers and thankfully, they were prompt in replying, notifying me that they would be selling the shuttle bus tickets on site on a first-come-first-serve basis. I made the effort to wake up early, so that I could go to the pick up area to make sure that I secured a ticket and thankfully I managed to get on the 05:45hrs shuttle to the race site. The journey to the race site took about 35 mins and I reached around 06:30hrs where I had ample time just to chill and look for my friends. When I found my group of friends, we would always take some pre-race selfies and photos around the area. This morning, we were treated to a beautiful canvas of colour and patterns. 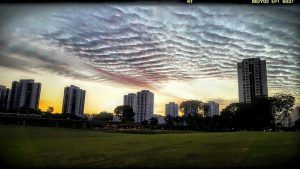 The glow from the morning sun and the cirrocumulus clouds: small rounded puffs that usually appear in long rows high in the sky was just picture perfect. Lots of the other participants were also getting pictures of this beautiful scene. We made our way across the muddy field to the START pen. Thankfully that didn’t put a damper our moods. You can tell that everyone was happy and ready for the race! 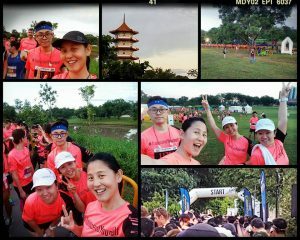 Loved the cheery music that was playing at the race site which just made us wanna burst into song and dance at the same time. Once we entered the START pen, we just did our stretches, bobbed to the music and took more wefies!! We were flagged off at about 10 mins late but I guess the organisers were just being cautious to ensure that were no bottlenecks. As soon as the horn went off, I started off with an easy pace. I told myself that today would be a run that I want to remember, especially that this is my first time working out here. 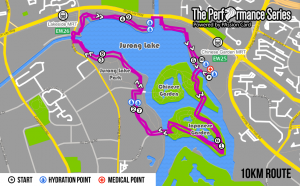 The route was 2 rounds around the Jurong Lake Gardens. This place was definitely scenic with lots of water bodies, landscaping, pagodas and nice Chinese bridges etc. It was definitely a nice area to workout. What I liked about this route was also the availability of shade along the route which gave relief from the sun when it’s sooo sunny! 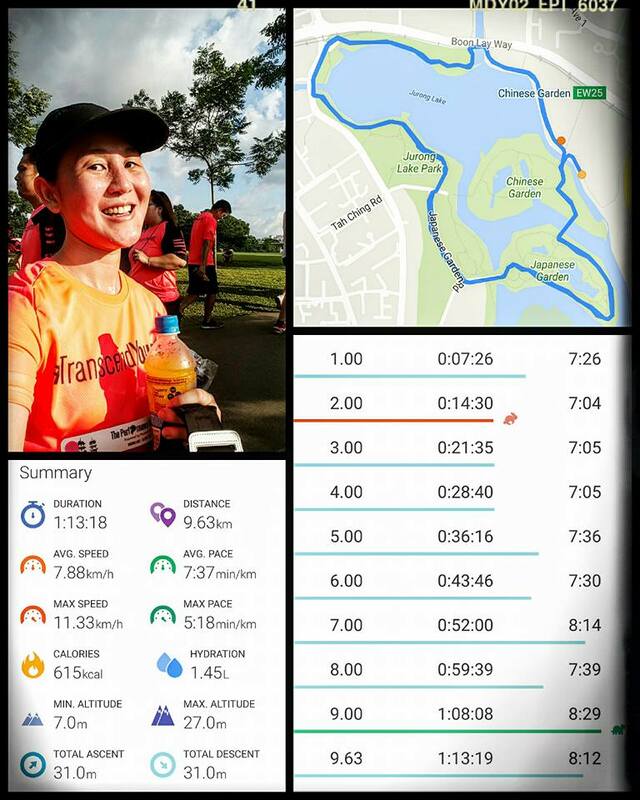 The water points were also spread out evenly which is a big help especially when it’s sooo hot and humid and hydration is really important. The route was also generally flat but with gentle slopes which weren’t too difficult. It was definitely an enjoyable run. 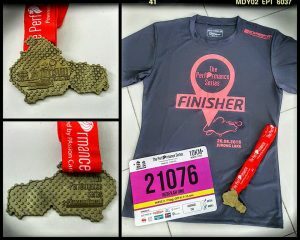 I completed the race with an unofficial timing of 1 hr 13 mins. I went to collect my Finisher entitlements from the collection point. To my dismay, I was greeted with super muddy grounds but a big kudos to the organisers for placing a crew personal there to inform runners that the ground was super muddy and to be careful. It was a good thing that they had also prepared wooden floor boards for the participants to walk on to collect their stuff. I would definitely hate for my nice pair of shoes to be soiled. Finisher entitlements for 10km included a Finisher tee from Compressport, a bottle of Lucozade and a Finisher medal. After collecting, I quickly made my way to the MRT station as I wanted to go meetup with my group of friends. We didn’t want to stay at the event site as the field was still muddy.